This is about the only Australian plain package I could find that WASN’T completely disgusting. More great news … the smoking rate in Australia is also dropping, probably because of that country very tough plain packaging laws. The smoking rate in Australia declined from 19.4 percent about three years before the plain packaging law to 17.2 percent three years after the plain packaging law. The new law, which was battled in the courts for years by Big Tobacco, was given credit for causing at least 25 percent of that decline. Australia was the first country to impose a plain packaging law. That law got appealed in the courts by Big Tobacco and it went all the way to the Australian Supreme Court, which ruled in favour of the government. Then Big Tobacco went to the World Court, trying to have the law overturned by arguing it was somehow violating free trade agreements with other countries. That effort likewise fizzled. A study done in Australia suggested that one of the things that kept smokers smoking was brand loyalty. With no more brand loyalty possible with the mandatory plain packages, one encouragement for smoking was reduced. In 2012, Australia became the first country in the world to make tobacco companies strip their branding off products, leaving nothing but drab packaging covered with graphic health warnings. A recent study shows that this too has encouraged smokers to quit by reducing their affinity with specific brands. Since Australia has imposed plain packaging rules, other countries such as the UK, France and New Zealand have followed suit. A proposal to do the same in the U.S. was stopped by the courts on First Amendment grounds. Yet another major legal victory for Australia in its long-running battle against Big Tobacco. Specifically, Australia defeated Philip Morris International, which has been one of the corporations fighting Australia for the past five to 10 years over that nation’s plain-packaging laws. 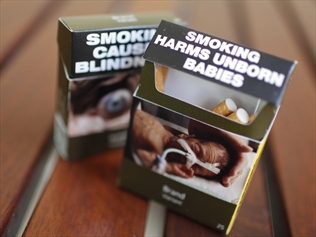 Initially, the government of Australia won in the Australian Supreme Court for the right to impose a plain-packaging law. In Australia, packages of cigarettes not only cannot have logos of tobacco brands, but they are required to have graphic images of the damage that tobacco does to people’s mouths, teeth, etc. Australian plain packaging. Pleasant, huh? Anyway, after losing before the Australian Supreme Court, Philip Morris Int’l persuaded several countries to get involved in litigation against Australia to claim that that country’s plain packaging laws were violating trade agreements and international trade law. Ukraine was one of the countries involved, but dropped out many months ago. However, Hong Kong was still involved in this legal action, invoking something called the “1993 Investment Promotion and Protection Agreement”. An entity known as an “arbitral tribunal” (seriously, that’s what it is called), declined to hear Hong Kong and Philip Morris Int’l’s case, ending the litigation … for now. The Public Health Association of Australia welcomed the decision as “the best Christmas present for public health nationally and internationally”. “Smoking in Australia is falling in adults, in children and by tobacco volume sales,” said the association’s chief executive, Michael Moore. “There is nothing in today’s outcome that addresses, let alone validates, plain packaging in Australia or anywhere else,” said Marc Firestone, Philip Morris International senior vice president and general counsel. Oh, wah! Cry me a river, Philip Morris. Shouldn’t you be busy picking on Uruguay? Yay, go France. Cracking down on cigarette marketing. This decision could help other countries that are proposing plain packaging laws. Ireland already does it, and France is moving ahead with plain packaging for tobacco in 2016, following Australia’s lead. Efforts to force plain packaging for cigarettes in the U.S. are stymied by a very strong First Amendment. 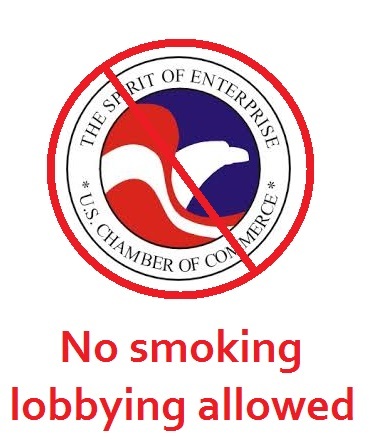 Philip Morris International and other tobacco companies have fought these plain packaging laws around the world; they’ve even enlisted the help of the U.S. Chamber of Commerce to aid them in their fights against Uruguay, Ireland, New Zealand, Australia, Togo and other countries. Notice most of these countries are fairly small with limited finances and resources to fight Big Tobacco. Not a coincidence.